Need a quick, grab-and-go breakfast? 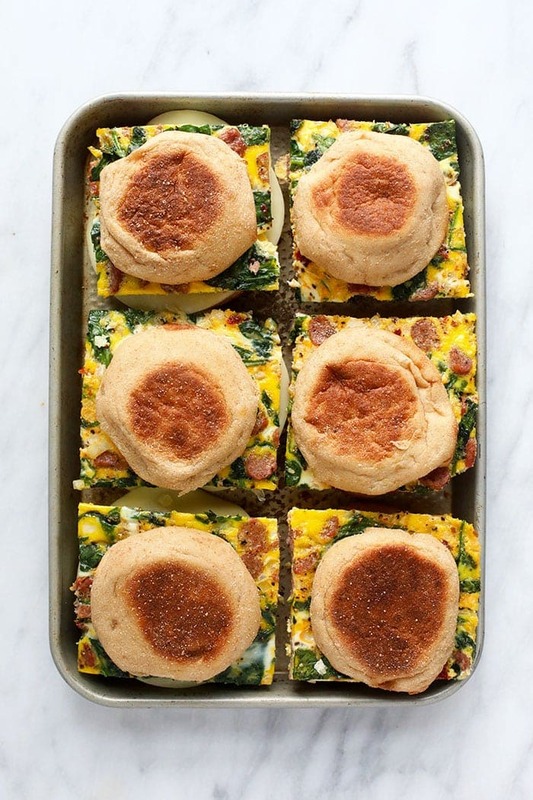 Make these delicious freezer breakfast sandwiches! 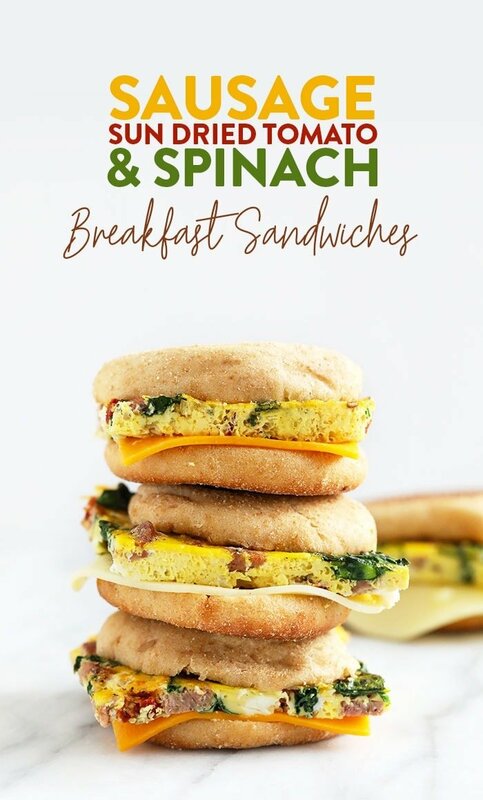 They’re made with a sausage, sun-dried tomato, and spinach egg patty, cheese, and a whole grain English muffin. So what are you waiting for? Whip up a batch of these make ahead breakfast sandwiches now! 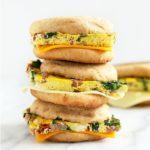 We’re biggggg breakfast fans here at Fit Foodie Finds and one thing that’s been a saving grace as of late are these amazing make ahead breakfast sandwiches! 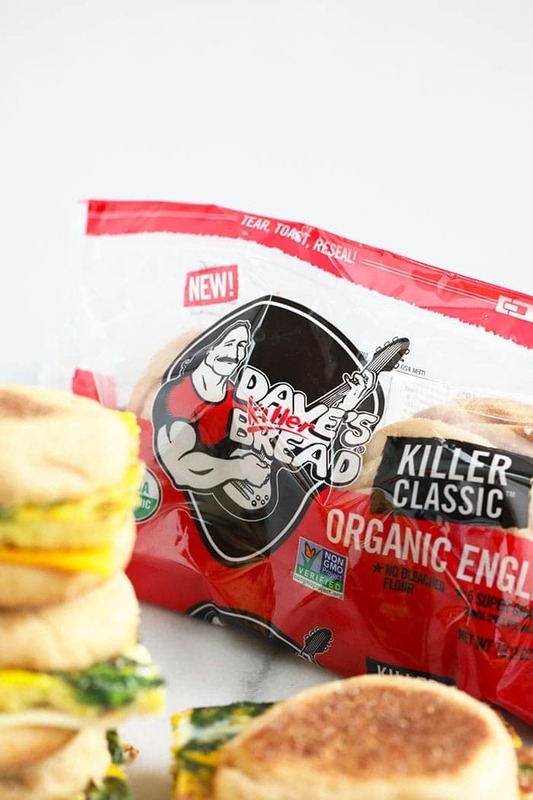 Today we’re partnering with Dave’s Killer Bread and featuring their new Organic English muffins, which are pretty epic. I like to call myself an English muffin connoisseur. Yes, I’m that into breakfast sandwiches. I prefer mine soft, but chewy and whole grain if possible! These nail both on the head and I’m so excited for you to try them. 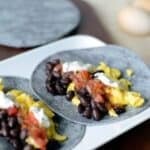 We wanted to come up with a recipe that combined breakfast and meal prep so that you have an easy, grab-and-go option in the morning. 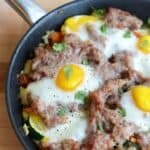 We’ve had multiple requests for more healthy savory breakfast ideas and I think you guys are going to like this one! The beauty of these make-ahead breakfast sandwiches is that 1. you only need to dirty one pan and 2. you’re basically prepping breakfast for the next 12 days. Yes, 12 days! This recipe makes 12 breakfast sandwiches, so you’ll need 2 packages of Dave’s Killer Bread English muffins (either flavor works). 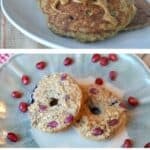 If you really want to amp up your protein or need to eat more calories in the morning, you can totally double up your egg patties to serve 6. 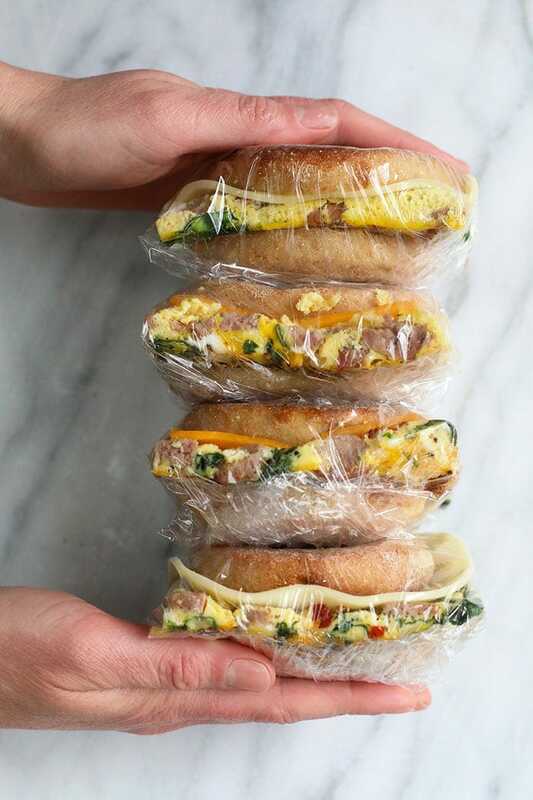 Keep on reading to get a full tutorial on how to make, assemble, and freeze these breakfast sandwiches! Your tummy will thank you in the morning. Begin by broiling spinach and chopped breakfast sausage on a baking sheet. Then, whisk your eggs and milk together and add the rest of the veggies to the baking sheet. 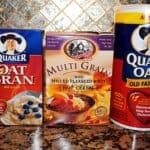 Pour egg mixture on top and mix until everything is combined. Bake at 350ºF for 18-22 minutes or until the egg mixture is firm in the middle. Let cool for at least 10 minutes before slicing into 12 squares. Good news, we tried both! And? They both work! 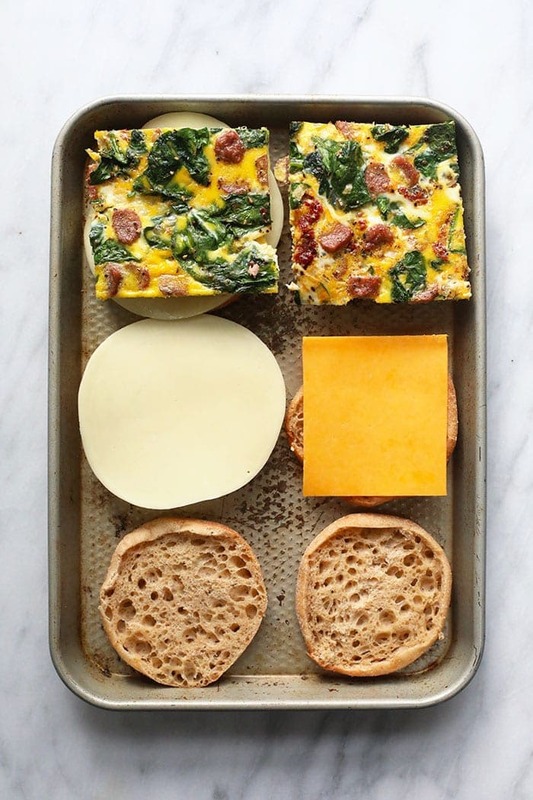 Since these are freezer breakfast sandwiches, we actually prefer assembling them without toasting the bread. This is mostly because you need to reheat the sandwich once thawed and we found that the texture of the bread is better when the English muffin is not pre-toasted. However, if you are planning on eating these breakfast sandwiches immediately, we HIGHLY recommend giving them a toast in your toaster for ample tastiness. In order to assemble, place an egg patty square on one half of your English muffin and then top with a slice of cheese. Then, top with the other half. If you’re eating immediately, feel free to add a little hot sauce or any other toppings your heart desires. Not into the bells and whistles of a complex breakfast sandwich? 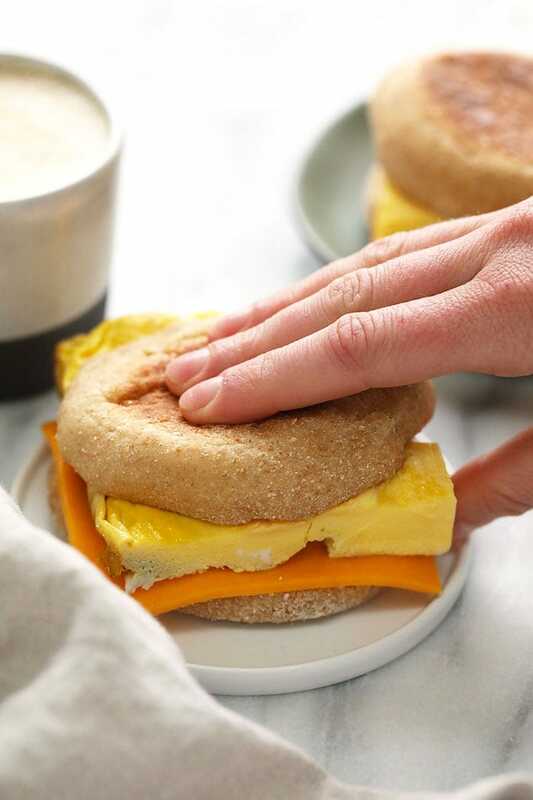 Keep things super simple with an egg and cheese breakfast sandwich! You essentially follow the same exact steps in making your sheet pan egg patty, but instead of adding in all of the fixings, you whisk together JUST eggs and milk. Then, bake, slice, and assemble! Check out the recipe card below for more details. Place breakfast sandwich in the middle of a piece of plastic wrap. Then, wrap the breakfast sandwich tightly, removing as much air as possible. This will prevent freezer burn. Net, place the wrapped breakfast sandwich in the middle of a piece of tin foil. 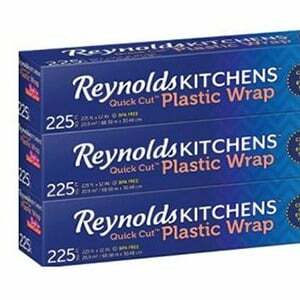 Do the same thing, wrap tightly and remove as much air as possible. Once your breakfast sandwich is wrapped, write the name of the sandwich and date on the tin foil and place in the freezer for up to 3 months. Need a quick, grab-and-go breakfast? 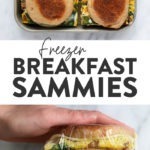 Make these delicious freezer breakfast sandwiches! They’re made with sausage, sun dried tomatoes, and spinach egg patty, cheese, and a whole grain English muffin. So what are you waiting for? 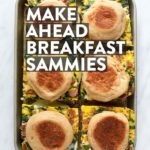 Whip up a batch of these make ahead breakfast sandwiches now! 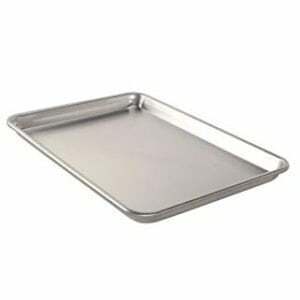 Frist, turn your broil function on high and generously spray an 18-inch by 13-inch baking sheet with nonstick cooking spray or any oil (really grease up the pan to prevent sticking)! Then, place sausage and spinach onto the baking sheet. Drizzle 1 teaspoon of olive oil onto spinach and sprinkle with salt. Broil sausage and spinach for 4 minutes stirring half way. This will wilt your spinach and make it perfect for these sandwiches. Remove from oven and set your oven to 350ºF. Next, crack 14 eggs into a large bowl and add in 1/3 cup of milk. Whisk until scrambled. 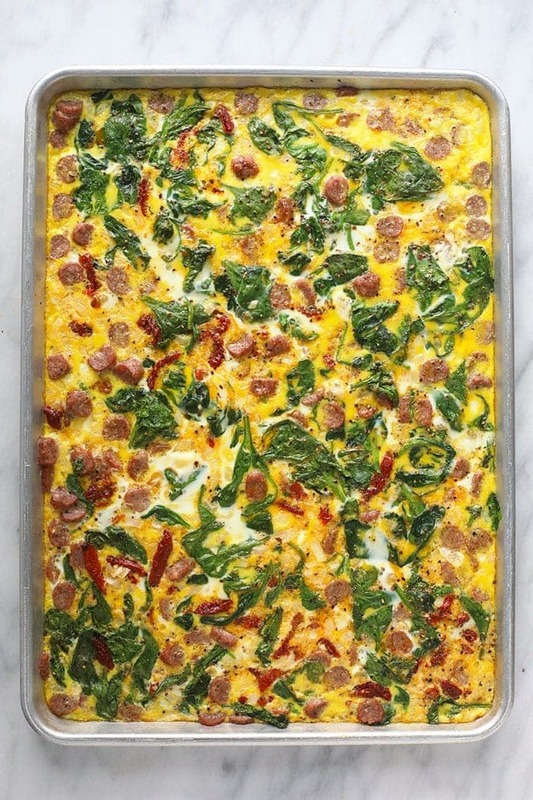 Add onion, garlic, and sun-dried tomatoes to the baking sheet and mix with breakfast sausage and spinach. Then, pour on scrambled eggs and mix again until everything is submerged. Season with salt and pepper. Bake at 350ºF for 18-22 minutes or until the eggs are firm in the middle. Remove egg bake from oven and let cool for at least 10 minutes. Now it’s time to prepare your breakfast sandwiches. Cut egg bake into 12 square patties. To create a sandwich, place an egg patty on one half on your English muffin. Then, top it with a slice of cheese, and then with the other half of the English muffin. Repeat until all egg patties have been used. 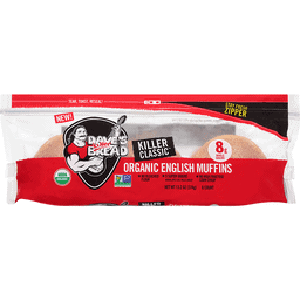 Option to eat immediately (we recommend toasting your English muffin first if you do this) or freeze your breakfast sandwiches for later. To do so, tightly wrapping each sandwich in plastic wrap (be sure to remove as much air as possible), then wrap with tin foil and write the date of preparation so you don’t forget. Place in the freezer for up to 3 months. First, preheat oven to 350ºF and grease an 8-inch x 8-inch cake pan. 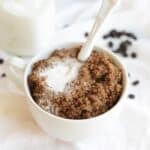 Whisk together eggs and almond milk in a large bowl. Then, pour egg mixture into the pan and bake for 16-18 minutes. Remove once egg patty is fully cooked in the middle. Then, let cool for at least 10 minutes. 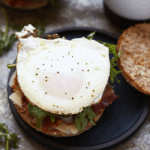 Cut the egg patty into four squares and place each patty onto one half of an English muffin. Next, place a slice of cheese onto the egg patty and top it off with the other half of the English muffin. Reheating directions: Remove breakfast sandwich from the freezer when you are ready to eat it and “thaw” in the microwave for 3-5 minutes, flipping every minute. Then, microwave on high for 30-60 seconds. For oven preparation, broil sandwich for 4-8 minutes on low broil. This post is sponsored by Dave’s Killer Bread. I was compensated and all opinions are my own. Thank you for supporting Fit Foodie Finds.